​Another obstacle has been thrown in the way of Virginia Tech's already ​​rocky offseason. Cam Goode, a former 3-star defensive tackle from Washington, D.C. has decided to transfer from the Hokies. Per his request, Virginia Tech staff have released Goode from his scholarship. Goode, listed at 6-1 and 317 pounds, committed to Tech in 2017 and was poised to be a key member of the ​Hokies defensive depth chart in 2018. Goode's size was making him a contender for a spot, even though it's unlikely for freshman to gain a starting position on the line. After enrolling for a second summer session earlier this month, Goode decided that he wanted to transfer. 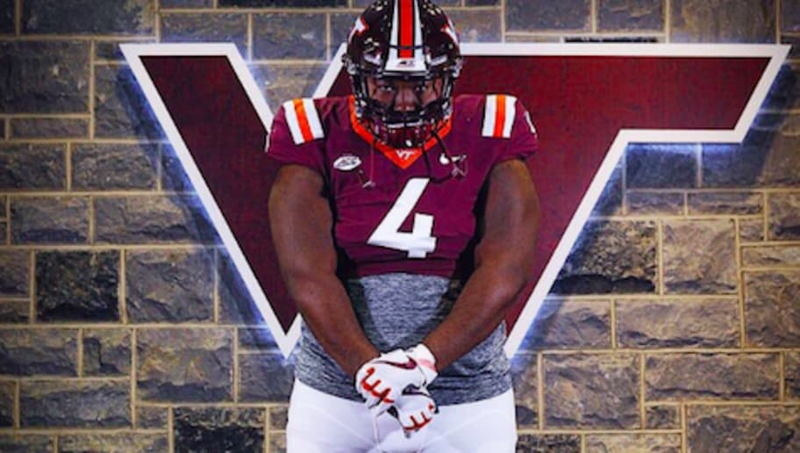 He had offers from Pitt, Virginia, Duke, and other ACC schools before making his decision to attend VT.
Virginia Tech is lacking experience of the defensive line, and with graduation looming for many players, the loss of Goode adds another layer of disappointment and panic to the floundering Hokies. #Hokies set with first-team tackles with Ricky Walker and Vinny Mihota, but they’re both seniors. Jarrod Hewitt took big step last year and Xavier Burke may have turned a corner in spring, but there are big questions about anybody else on the roster being effective at DT. The Hokies have their season opener on Sept. 3 against the Florida State Seminoles. Fans can only hope some good news arrives before then.